As air raid sirens sound, British army colonel Taylor finds himself on Waterloo Bridge, the very spot where he fell in love with ballerina Leigh on the eve of the previous war. Before their relationship had a chance to flower, however, he was called away to the front, unaware she was subsequently fired from her troupe and left on the streets. Although James Whale's 1931 version of the Robert E Sherwood play was more explicit about the heroine's plight, a little suggestiveness goes a long way in this superbly crafted MGM tearjerker. 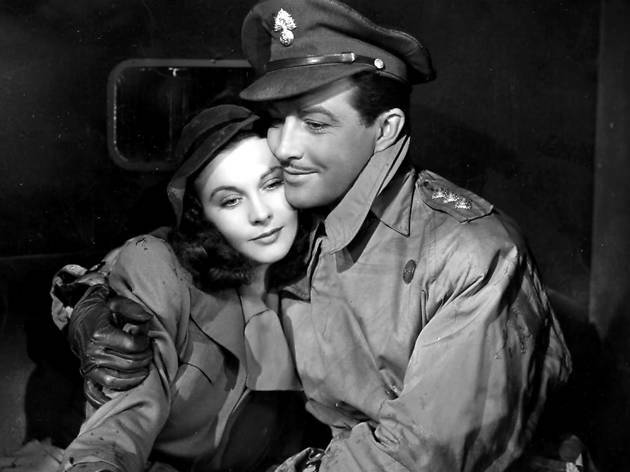 Leigh, in her first film since Gone With the Wind, is fresh, needy, poignant, while Taylor's unexpectedly assured restraint allows her to carry the film's surge of emotion. Purest corn, of course, but the exquisitely lit and scored 'Auld Lang Syne Waltz', with nightclub candles extinguished one by one as couples embrace on the dancefloor, is a romantic set piece to haunt the memory. 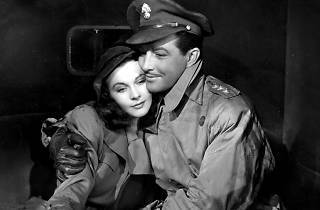 I simply adore this movie because of Vivien Leigh's portrayal. She managed to create a different from her Oscar-winning Scarlett part portrait of a sweet but miserable girl whose life is to be short and unhappy. I think she deserved an Oscar for her part of Myra. Great pitty she was not even nominated.